Empower U “Just Say No!” …It’s not that easy. 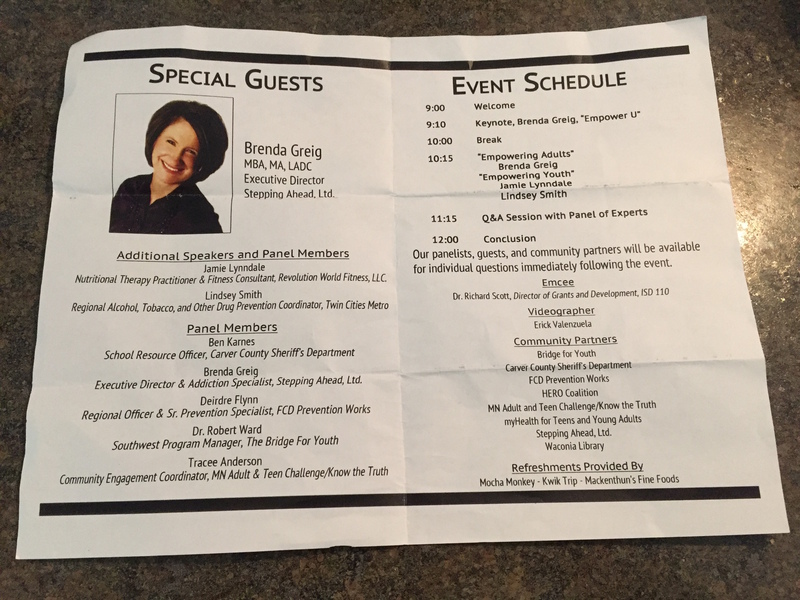 I was recently the keynote speaker for the HERO Coalition out of Waconia, MN speaking to parents and youth about addiction prevention. It’s not as easy as “Just Say No” but youth and parents were ready to face whatever is necessary to stay away from the dark path of addiction. What a great venue to discuss what is happening in your local community and discuss ways you can be of assistance in changing the trends with drugs and alcohol. Think about forming a coalition in your community for parents and youth!